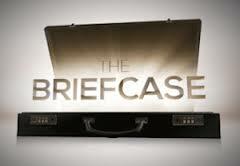 A new show called The Briefcase aired Wednesday this week. It is a reality show where 2 struggling families are each presented with a briefcase containing $100,000. They have 72 hours to decided if they will keep all the money for themselves, give it all to the other family or split it up some way between them. What is interesting is neither family knows the other was also presented a briefcase with the money and is in the same situation deciding what they will do with the money. Over the course of 3 days they learn more about the other families and what they are going though. They even visit the home of the other family to see how they live. It is a huge decision the families have to make and there are a lot of reasons pulling them back and forth on whether they should keep the money for themselves or give it to the other family in need. After watching the first episode, I found it to be enjoyable and full of emotion as the families try to do the right thing. It makes you ponder what you would do if you were in the same situation as them. The first instinct might be to keep the money because you don't know the other family's situation but as you learn that they are also in need, you don't want to be greedy especially if they could use the money more. I won't spoil the end result but is sure will be interesting to see how all the episodes pan out. For example what if one family decides to keep it all while the other family decides to give it all. Then one family would get $200,000 while the other would get $0. I can imagine that might cause a little drama at the end if something like that were to happen! If I were in the situation, I might split the money and keep $50,000 and give the other $50,000 away. It seems like it would be the most fair thing to do in a situation like that. Of course you never know if there would be some kind of twist with a show like this. For example, what if at the end of the show, the producers said something like, because you choose to give it all to the other family, you are rewarded with twice as much? This show does not do this, but you could easily see them working in a twist like that. What would you do if you were presented with $100,000 and given the choice of keeping it all for yourself or sharing it with another family in need?